much. Or maybe we're all in Ron Howard's movie about how a talentless reality TV star connives and networks her way to an Academy Award, causing Glenn Close to go on an "I will not be ignored" rampage on the Sunset Strip. 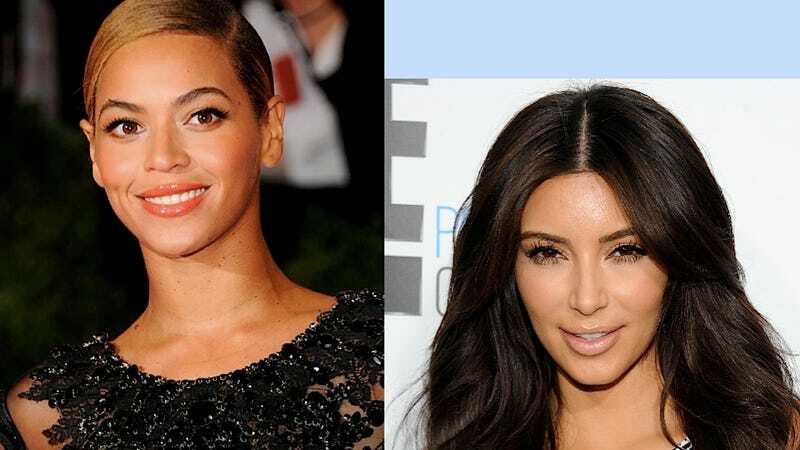 At any rate, a source close to the concerned parties (not Glenn Close — it's really a shame she got dragged into this) said that, not only didn't Kim's Ron Howard confrontation never happen, but, "Beyonce and Kim have gotten along perfectly since the very first day that they met. They have no reason to not get along. The person who came up with this story has a very wild imagination." Well, Source, I have a vivid imagination and I believe that maybe you are actually a devious lizard person spreading lies about celebrities. What say you to that, hmm?